Universal Parks and Resorts has announced a partnership with Nintendo. Nintendo characters will be brought to light in the Universal Theme Parks. Nintendo’s characters are very popular around the world especially in Asia. No real details have come out about specific attractions coming to parks however this announcement has the theme park fan community at the edge of their chairs. Universal and Nintendo have sent us a press release which you can read below. KYOTO, Japan and ORLANDO, Florida (May 7, 2015) – Nintendo and Universal Parks & Resorts today announced plans to bring the world of Nintendo to life at Universal theme parks – creating spectacular, dedicated experiences based on Nintendo’s wildly popular games, characters and worlds. The agreement brings two icons of entertainment together and represents a significant partnership for Nintendo as it expands the reach and popularity of its characters and intellectual property. Universal theme parks offer incredibly popular, innovative themed family entertainment experiences based on compelling stories and characters – using powerful storytelling and innovative technology. 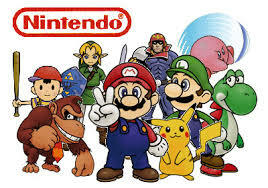 Nintendo has created remarkable and imaginative worlds filled with captivating stories and beloved characters. Now, for the first time, those stories and characters will be brought to life in entirely new ways – only at Universal theme parks. The immersive experiences will include major attractions at Universal’s theme parks and will feature Nintendo’s most famous characters and games. More details will be announced in the future, as the Nintendo and Universal creative teams work to create specific concepts. Universal Parks & Resorts, a unit of Comcast NBCUniversal, offers guests around the globe today’s most relevant and popular entertainment experiences. With three-time Academy Award winner Steven Spielberg as creative consultant, its theme parks are known for immersive experiences that feature some of the world’s most thrilling and technologically advanced film- and television-based attractions. Comcast NBCUniversal is a global media and technology company that owns and operates a valuable portfolio of news, sports and entertainment networks; Universal Pictures, a premier motion picture company; significant television production operations; a leading television stations group; and world-renowned theme parks. Comcast NBCUniversal wholly owns Universal Studios Hollywood, which includes Universal CityWalk Hollywood. It also owns Universal Orlando Resort, a world-class destination resort featuring two theme parks (Universal Studios Florida and Universal’s Islands of Adventure), four resort hotels, and Universal CityWalk Orlando. Comcast NBCUniversal also has license agreements with Universal Studios Japan in Osaka, Japan and Universal Studios Singapore at Resorts World Sentosa, Singapore. In addition, Comcast NBCUniversal has recently announced plans for a theme park in Beijing and an indoor theme park to be developed as part of the Galactica Park project in Moscow. The worldwide pioneer in the creation of interactive entertainment, Nintendo Co., Ltd., of Kyoto, Japan, manufactures and markets hardware and software for its Wii U™ and Wii™ home consoles, and Nintendo 3DS™ and Nintendo DS™ families of portable systems. Since 1983, when it launched the Nintendo Entertainment System™, Nintendo has sold more than 4.3 billion video games and more than 680 million hardware units globally, including the current-generation Wii U, Nintendo 3DS and Nintendo 3DS XL, as well as the Game Boy™, Game Boy Advance, Nintendo DS, Nintendo DSi™ and Nintendo DSi XL™, Super NES™, Nintendo 64™, Nintendo GameCube™ and Wii systems. It has also created industry icons that have become well-known, household names such as Mario™, Donkey Kong™, Metroid™, Zelda™ and Pokémon™. A wholly owned subsidiary, Nintendo of America Inc., based in Redmond, Wash., serves as headquarters for Nintendo’s operations in the Western Hemisphere. For more information about Nintendo, visit the company’s website at http://www.nintendo.com/. Drew and Dan were on hand to show off the Walk The Wheel with Nik Wallenda along with a media preview of The Orlando Eye, Madame Tussauds Wax Museum and Sea Life Aquarium. Check out these three videos below as Dan and Drew take you on their journey of these thee attractions. A horrible and unfortunate event took place at Kennywood in West Mifflin, PA last Saturday night. A large fight broke out involving 50 to 100 teenagers from local Pittsburgh schools. Kennywood opened to the public this day and also had several schools come and celebrate the ending of the school year. The fight took place in the Kiddyland section of the park, and officials and law officers were quickly called to the park to help manage the crowd. The unruly guests were then escorted out of the park. Unfortunately four female visitors were injured during the confrontation. Kennywood will reopen next Saturday on May 9th. Kennywood released a statement on their Facebook page which can be read below. We understand there is some concern about what happened at the park Saturday evening. Please know that the first and foremost priority of those of us at Kennywood is providing a safe, family-friendly atmosphere for our guests. It is for that reason that Kennywood security personnel requested extra assistance from some of the police departments in our neighboring communities when we recognized several large groups of teenaged guests acting in an unruly fashion. It is important to note that claims of riots are an exaggeration; only four injuries were reported to Kennywood security, all of which were minor in nature. No property was damaged either. We apologize to any and all whose evening was disrupted by this incident. We will review our measures to ensure safety and security and make any changes if determined necessary. Kennywood will resume operations as scheduled on Saturday, May 9. 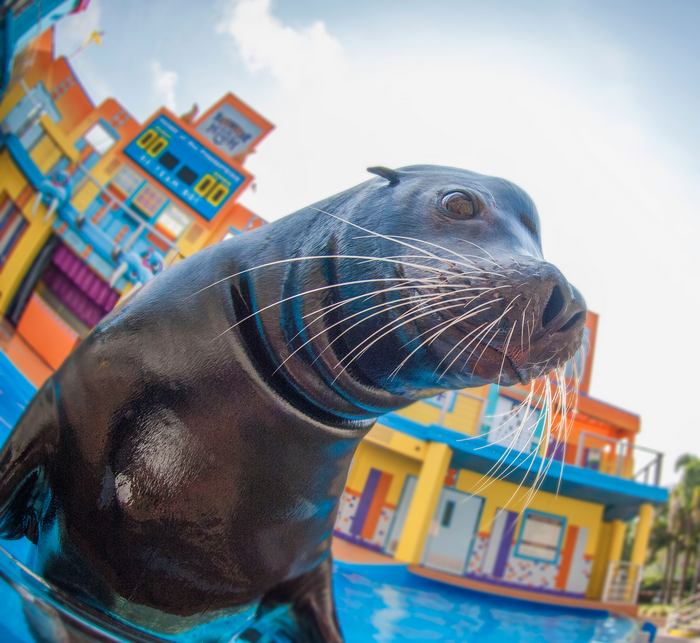 SeaWorld Orlando debuted their new Sea Lion show today. 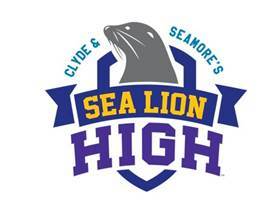 Clyde & Seamore’s Sea Lion High opened to great success at Sea lion and Otter Stadium. The new show like Clyde & Seamore Take Pirate Island, uses humor to excite guests of all ages, however instead of pirates this show has a school theme and supports teachers. The new pre-show honors teachers and explains how the animals are trained. SeaWorld San Antonio in Texas will debut the show in May. SeaWorld sent us a press release and it is below. 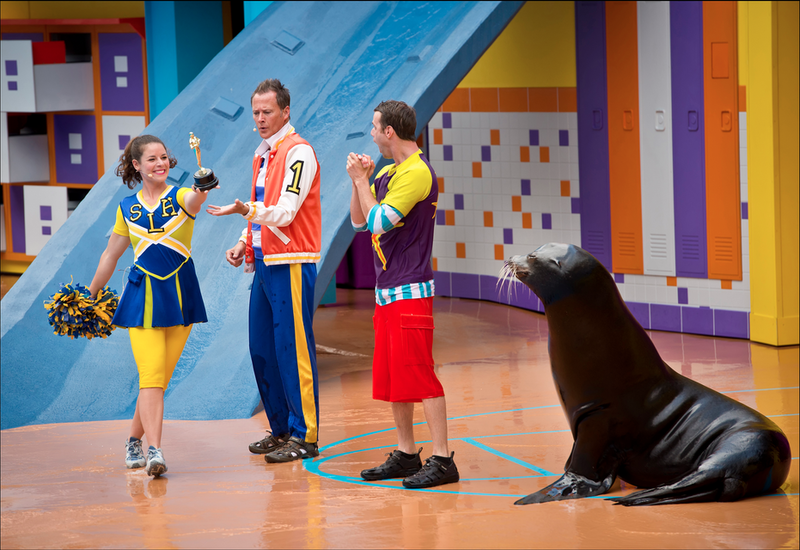 ORLANDO, Fla. (April 16, 2015) – The all-new sea lion comedy adventure “Clyde & Seamore’s Sea Lion High” is now open at SeaWorld Orlando. Full of fun and big personalities of sea lions, walruses and otters, the show takes place in an aquatic-themed high school where laughter and education go hand in hand (er, flipper). A special new pre-show salutes teachers from all over, and guests learn new information about the animal stars, their relationships with the trainers, and how the animals are trained. 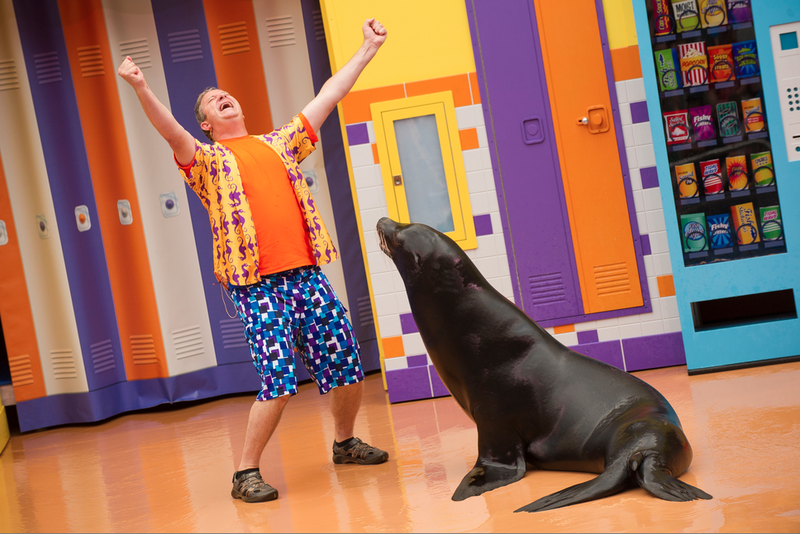 True to the more than 40-year legacy of SeaWorld’s beloved sea lion shows, Sea Lion High is an entertaining and fun comedy that is a perfect fit for sea lions’ large personalities. Through the adventures, laughs and endearing animal antics, guests are inspired to care about these amazing animals. When Clyde and Seamore are nominated to win scholarships to Ocean University, they must enter crash courses in science, dance and gym in a storyline that is full of fast-paced fun. Also woven into the comedy are moments that subtly teach lessons such as the importance of keeping our oceans healthy. Sea Lion High features a new, two-story set that is the marine mammal high school, complete with sea lion-sized waterslides and elevators for otters. 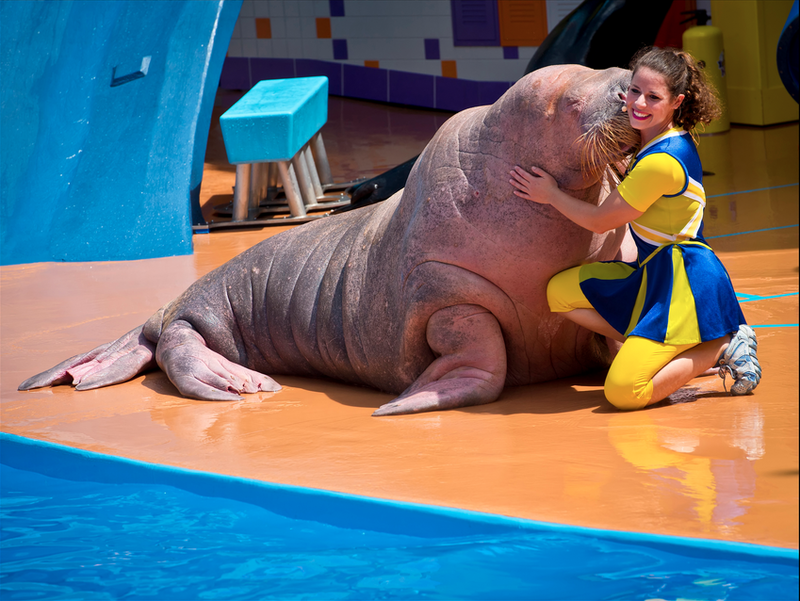 SeaWorld’s animal stars and trainers have also worked together to put together amazing new behaviors. 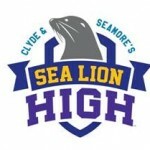 The creative process to produce a show like “Clyde & Seamore’s Sea Lion High” is highly collaborative between animal trainers and the group of writers and directors. In fact, the process always starts with the animals. We watch interactions and relationship sessions with them and their trainers, looking for unique ways to highlight their natural abilities. 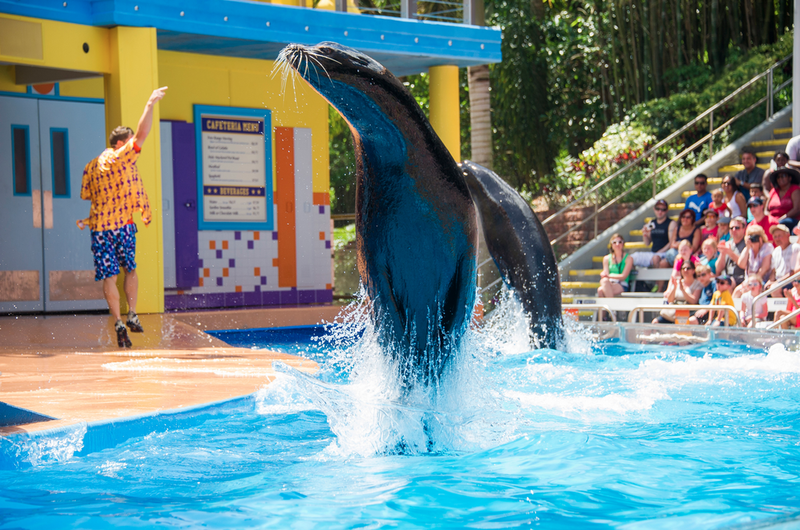 The best way to experience “Clyde & Seamore’s Sea Lion High” and all that SeaWorld has to offer is with a 2015 SeaWorld Orlando Fun Card, where guests pay for a day and play all year. Plus, for a limited-time, guests who purchase a Fun Card can also enjoy a one-day visit to Aquatica, SeaWorld’s Waterpark. For more information and to purchase tickets, visit SeaWorldOrlando.com. Follow SeaWorld on Facebook, Twitterand Instagram to stay connected. Check out some awesome photos below! Holiday World today announced a new partnership with Prairie Farms to name their new ice cream flavor, Thunderbird to go along with the New For 2015 roller coaster which shares the same name. The ice cream will be vanilla flavored with caramel and spicy scorched pecans. The ice cream will be available at the park as well as in stores in 27 states around America. Thunderbird opens on April 25th with the opening of Holiday World. Check out the press release below. 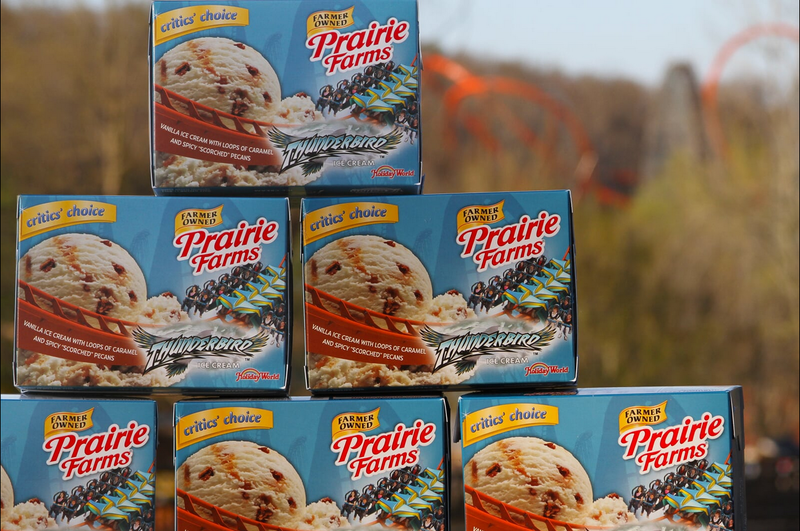 Thunderbird Ice Cream will be available at Holiday World this season, plus in half-gallon cartons at grocery stores that carry Prairie Farms Ice Cream in the Midwest, East Coast, and South. Thunderbird, America’s first launched wing coaster, features a zero-to-60 miles-per-hour launch in 3.5 seconds, followed by multiple inversions including a 14-story launch, loops, rolls and overbanked turns. Farmer-owned Prairie Farms Dairy is headquartered in Carlinville, Illinois. 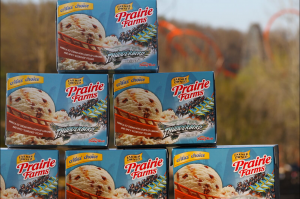 Prairie Farms will distribute Thunderbird Ice Cream as part of its “Critics’ Choice” series of specialty ice cream. This weekend In The Loop was able to stop by Six Flags Over Georgia to check out their construction projects going on in Gotham City. Six Flags is adding two new attractions to their Gotham line up in 2015. 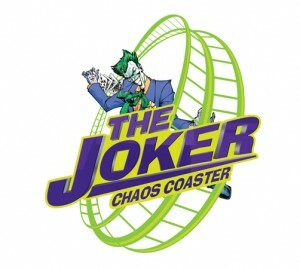 First The Joker Chaos Coaster, a 7 Story Larson looper built by Larson International. Riders will flip upside down, experiencing insanity, traveling both forwards and backwards during the ride. Harley Quinn Spinsanity is the second addition to the Gotham City area. Harley Quinn is a tilt – a – whirl designed for the whole family to spin together. Seven cars rotate around the circular track, spinning in all kinds of directions. As you can see from the video not much construction is going on. The track for The Joker Larson Looper are on site and could be going vertical any day now. While not a whole lot of construction has started with Harley Quinn. The Harley Quinn ride does not even appear to have its concrete pad footer poured yet. 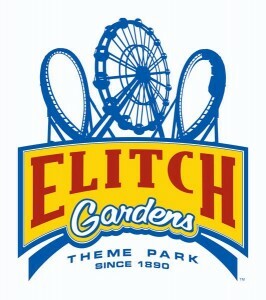 Both rides are expected to open in may. Currently Mind Bender and Crime Wave are operating as normal, and Batman : The Ride is operating backwards as namtaB. Fury 325 is now open at Carowinds, an amusement park located on the border of North and South Carolina, in Charlotte, NC and Fort Mill, SC. Fury is a brand new giga coaster built by Bolliger & Mabillard from Switzerland. 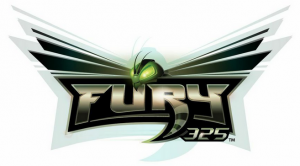 Fury 325 is 325 feet tall with a 320 foot drop, making it the tallest lift hill in the world. Fury is more than just a drop. 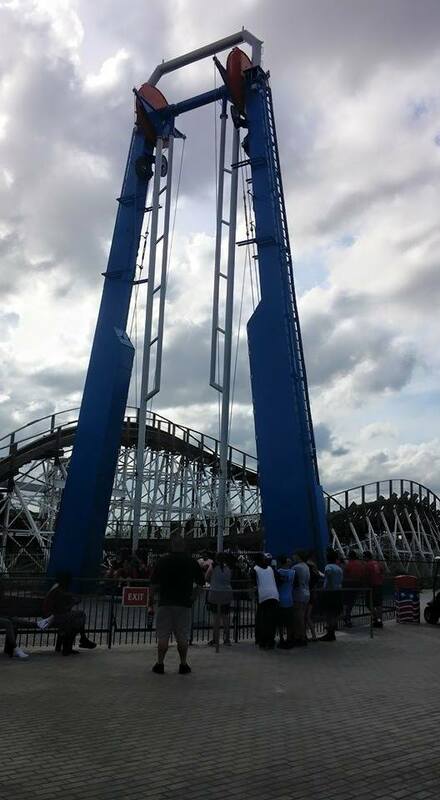 It hits 95 MPH at the base of the first drop. The ride is 3 minutes and 25 seconds long and lasts for 6,602 feet, making it the longest steel roller coaster in North America. Guests from all over came to check out this state of the art roller coaster. Here are some videos from Media Day and Opening Weekend. Grand Opening Ceremony with lots of confetti! 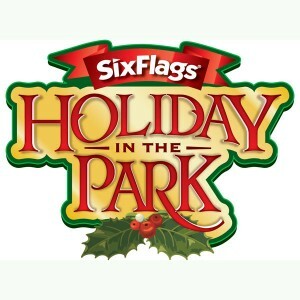 Six Flags Great Adventure is now the latest park in the Six Flags chain to announce Holiday In the park. Great Adventure will be extending its operating season to include the Christmas Holiday. 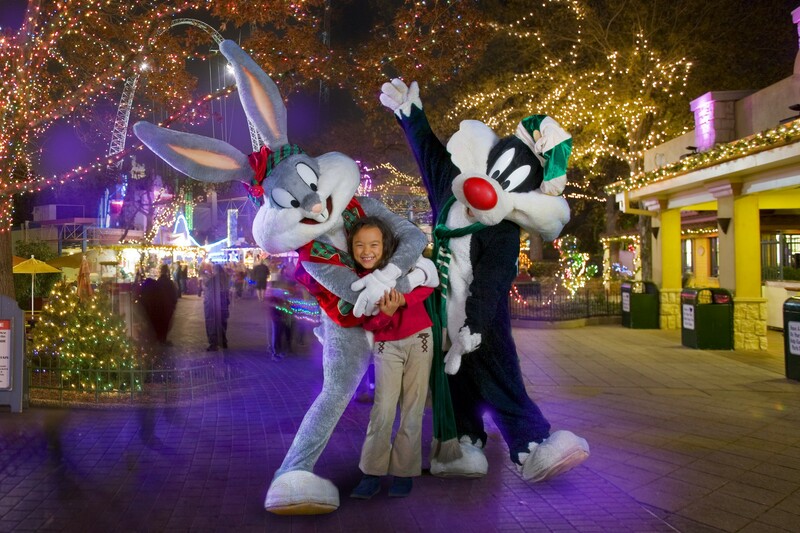 Included with your season or membership pass Six Flags will offer some world class holiday entertainment. Between November, 21st and January, 3rd they will have 30 Attractions schedueld to be open including Batman: The Ride, The Green Lantern, Nitro, and Superman: Ultimate Flight. The park will be transformed into a winter wonderland as well with millions of lights, holiday entertainment, seasonal food and holiday smells and animals. There will be Six distinct themed lands for guests to explore. Check out the press release below for more information. This winter, the Santa tracker will lead right to Six Flags Great Adventure in Jackson. Six Flags Entertainment’s (NYSE: SIX) annual holiday extravaganza — Holiday in the Park® — will debut at the world’s largest theme park on November 21 and run weekends and select days through January 3, 2016. Millions of glittering lights, dazzling holiday entertainment, delicious seasonal treats, Santa’s village, animals and many popular rides will magically transform the summer thrill destination into a winter wonderland, and will be included with all season passes and active memberships. Holiday in the Park also features nearly 30 thrilling rides such as SkyScreamer, Carousel, Big Wheel, Parachutes and Tea Cups. Children can enjoy pint-sized thrills in the Adventure Seaport area. Coaster fans can challenge world-class rides like Nitro, BATMAN™: The Ride, THE GREEN LANTERN and SUPERMAN – Ultimate Flight, THE DARK KNIGHT Coaster and Skull Mountain, weather permitting. Fun Spot America has opened their S&S swing ride Space Invader today. Space Invader originally announced back August, 2014 has been officially signed off by the state of Florida and is taking riders. Fun Spot America in Kissimmee, FL also has a similar S&S swing ride named Hot Seat. Riders must be 48″ to ride and it is $6.00 to ride or is included with your all day wristband. On this ride, giant arms swing you back and forth until all you see is sky. Then you’re swung back so all you see is the ground rocketing past your face. You swing more than 180 degrees, past perpendicular, first on your back and then on your face! Elitch Gardens, a seasonal amusement park in Denver, Colorado announced their 2015 addition. 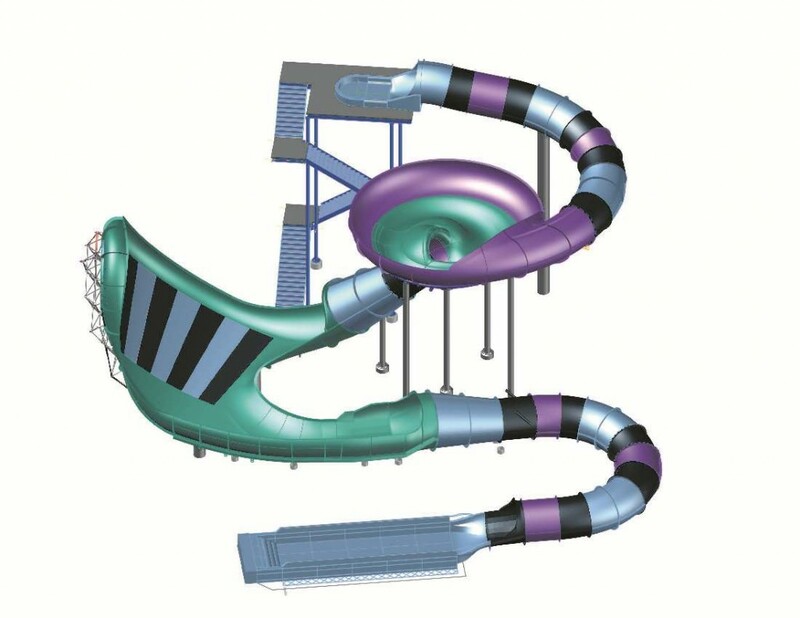 Slidezilla, a 6 Story Hydro-Beast slide built by ProSlide Technology, Inc will be added into their water park. Slidezilla will be Colorado’s first hybrid slide featuring two thrilling elements on one slide. It will have both a Behemoth Bowl and a Tornado Wave to excite its riders. Slidezilla will drop you 57 feet in 4 person clover shaped tubes. Painted Blue, Purple, and Teal this water slide will stand out on the Elitch Gardens skyline. Riders must be 48″ or taller to experience this attraction. The six story water slide accelerates four riders through a curved chute and into a swirling 24 foot bowl before unexpectedly dropping 57 feet and then up into a massive four-story high tornado wave. After cresting the fierce water wall, the riders slide into an exhilarating splashdown.